There’s help for you! Serve More Volunteers are neighbors who want to lend a hand to single moms, elderly folks, and disabled neighbors across the metro. 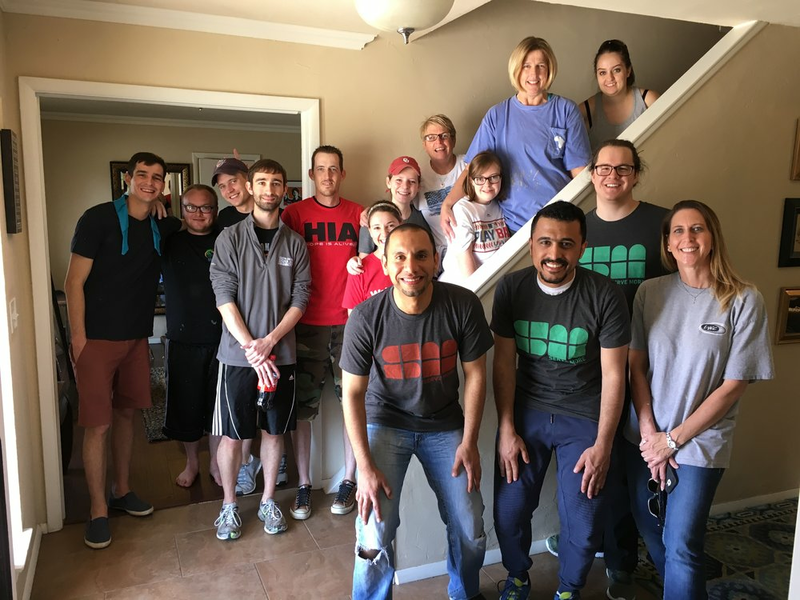 Help is available for home repairs, accessibility modifications, disaster recovery, beautification projects in Oklahoma City, Moore, Norman, Midwest City, Del City, Edmond, Bethany, and more. Now you can nominate someone you know for home repairs, a new coat of paint, a new flowerbed — see below! Neighborhood Renewal — home repairs and code violation fixes for neighbors who are elderly, disabled, veterans, single parents, or low-income. Mobility & Accessibility — home modifications and accessibility ramps for neighbors who are physically impaired and want to be independent in their home. Disaster Response — efforts to help neighbors affected by disaster cleanup, save belongings, and rebuild. Disasters could be tornadoes, home fires, floods, etc. What's the best number for us to get ahold of you? How else can we reach you or who else could we talk to about your needs? Serve More works to meet needs related these efforts listed but we know there are always needs outside these descriptions. If you select "None of These" be sure to give us lots of info in the box below. Check all that apply. Please be as specific as possible. If you checked Disaster Response above, please tell us which storm you're dealing with. Give us the age ranges and any helpful descriptions of the people who live in the home. This helps us match up potential resources. I acknowledge that I may be asked to contribute up to $100 (depending on project size) as a shared investment in my home. We will settle the specifics of this investment after your project assessment. NOTE: This investment does not apply to Flowerbed or Shed Projects. If we believe we can help with your needs, we will likely call or email you within a few days to discuss whether or not an assessment needs to take place. If your house is safe to live in at the moment, we will schedule a meeting to talk about where to go from here. If you're displaced, we will do all we can to move quickly on your needs and help secure your home. If we believe that we cannot help with your needs, we will call you within a few days to talk about other possibilities that might exist for you. Even when we cannot physically help, we want to be sure you have all the information you might need to move forward. 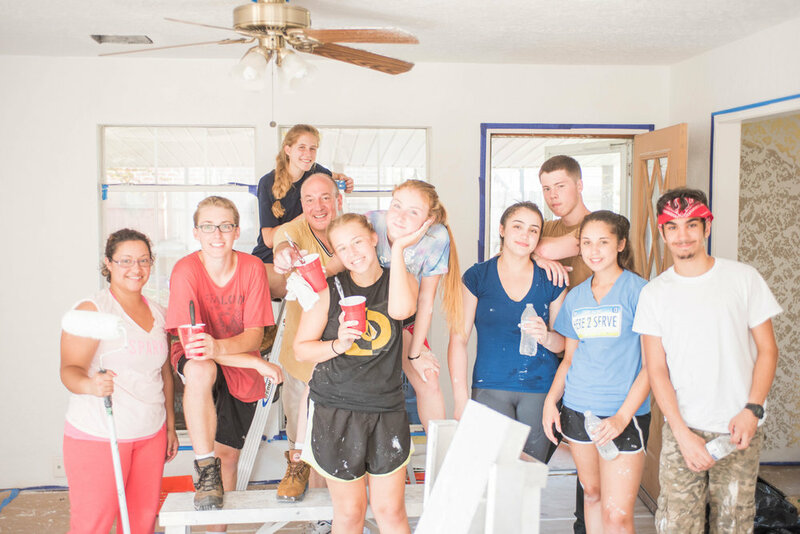 Here you can tell us about someone you know who could use some help with their home repairs, making their home accessible for the handicapped, or if they just deserve a new flowerbed or spruce up project. We want to honor your wishes but please don't use this nomination to have Serve More correct things you don't like about your Neighbor's house! Yes, I don't mind them knowing! No, please don't use my name. In case we have questions about your nomination. If you can't provide it, at least give us an idea of where they live in the Nomination Box below. We'd like to at least call them to schedule a time to visit! Tell us, why you feel your Neighbor needs or deserves Serve More's help? Tell us as much as you can. Thank you for nominating your Neighbor for a Serve More project! We will be in touch with you if we have questions about your nomination. Otherwise, we will reach out to your Neighbor and see how we can help! We use volunteers. There will be times when we simply don't have any volunteers to commit to a project. Bear with us. We want to help you as soon as we can. We use donations. As a fledgling non-profit, we do our very best to keep operating costs low. That said, we can't afford to fully fund every home-based project. We work with local churches, civic organizations, and other non-profits to help fund projects. We also ask neighbors we work with to contribute something (usually no more than $100) toward the project as an investment in their home. Together, we will keep meeting needs for years. We're not experts. Most of our volunteers aren't licensed in the metro or even the State of Oklahoma. As such, we can't do things like wire your new house or install your HVAC system. If your needs are limited to the services of a licensed tradesman, we CAN work with professionals we know to get you the help you need at a fair price. It's always best to ask. Think there's no help for your situation or need? Think again. We know lots of people or organizations who could potentially help you. Go ahead and tell us what you need and we will help connect you with the right people. 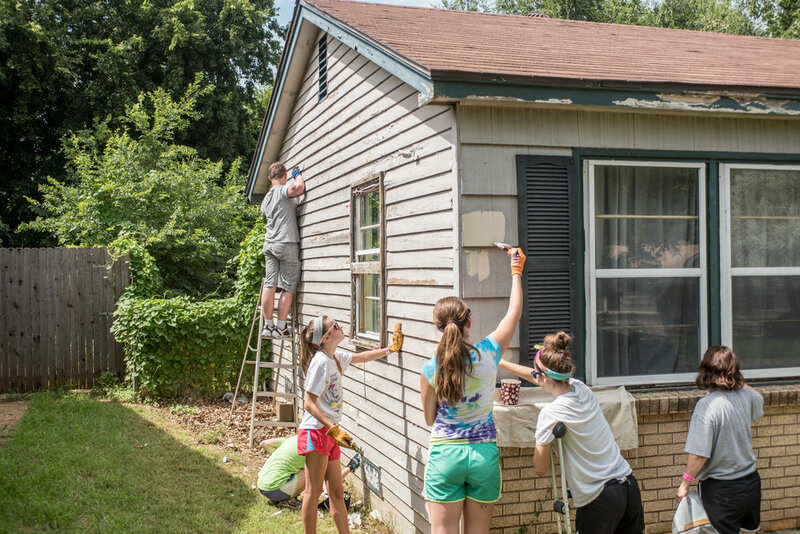 Volunteers paint a house for an elderly woman in Oklahoma City to prevent eviction and citation. Serve More volunteers repair the interior of an Oklahoma City home after flood and tornado damage. Serve More Volunteers make home repairs and house paint for a single mom in Moore.